What low-cost strategies can be used to promote a business or nonprofit organization? Non-profit organizations exist to help others—but how can they spread the word about what they do? To attract high-end donors and prestigious board members, non-profit organizations need low-cost promotional strategies to bring attention to their cause. Non-profit funding consultant Joe Garecht shares some of his secrets in his blog post on The Fundraising Authority, a website that helps non-profit organizations find ways to spread the word about their work. Create an official website: Number one among the marketing “basics” Garecht begins with is the organization’s online presence. First of all, a non-profit organization needs an “effective website,” according to Garecht. If an organization is strapped for funds, it can begin with a free website on platforms such as Wix or WordPress. When the organization grows, it can migrate its content to paid platforms that offer more features. Be present on social media: Social media sites, such as Facebook, Instagram, and Twitter, are free. Since so many potential donors, clients, and board members utilize these platforms, it makes sense for an organization to create official accounts on all of these sites. Press releases: Journalists need stories. If an organization can frame their latest development as a newsworthy event, journalists will cover it. There are many free online resources that show organizations how to create a press release that can showcase the organization’s work in the context of the latest current events. Many of these sites have samples that serve as templates to help write the press release. Inform news outlets about upcoming events: Make sure that news outlets get word when the organization holds a fundraiser, helps out a local citizen, or swears in a new board member. Organization board members and volunteers should call or email local news organizations to give them a heads-up about upcoming events. Podcasts: Local politicians or experts in the organization’s field may agree to participate in a podcast held by a non-profit organization. After all, it helps promote their work as well as the organization’s. These events need to be informative and well-publicized to be a success. Stick to topics that relate to the organization’s goals, and the organization will quickly grow to become a community resource. Webinars: Webinars are similar to podcasts, but focus on learning how to do something. For example, a local dance group may have one of its teachers demonstrate basic ballet positions for its audience. An organization that offers resale items at its store to raise money may hold a webinar that teaches consumers how to recognize valuable vintage items. According to Garecht, cause marketing creates a partnership through an “agreement between a for-profit business and a non-profit organization for mutual benefit.” For instance, an organization may partner with a local store by providing donation boxes that the store’s customers can fill with cash, toys, staples, or other items for the nonprofit. The store creates feel-good vibes in its customers for its willingness to help others, and the nonprofit gets goods or money it can use in its work. One of the more well-known examples is the annual Girl Scout cookie sale. Each year, Scouts partner with a cookie company to manufacture their trademark confections. Girl Scouts sell the cookies to help their local troop, and the cookie company gets free publicity through its participation. Advertising doesn’t necessarily mean that a fledgling non-profit has to hire a slick Madison Avenue agency to promote its work. Nor will new organizations need billboards or radio spots to spread the word. 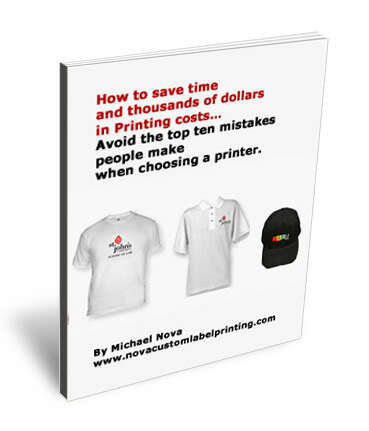 Promotional Gear: There are plenty of low-cost advertising methods that cost little, but that pay off with big dividends. Promotional gear, such as t-shirts, bags, pens, and other useful items bearing the logo and name of the organization create goodwill among those who receive them. With promotional gear, every time a supporter of the organization walks down the street wearing a hoodie with the organization’s logo, potential donors and board members notice. If a supporter pulls out a pen with the organization’s name on it to write a check to his or her doctor, lawyer, or banker, it can open up conversations about potential sponsorships. Flyers and Brochures: Organizations can create brochures, posters, and flyers for a low cost. Yet these will spread the word about the nonprofit’s work just as effectively if these advertising tools are placed in strategic locations. Drug stores, supermarkets, and public bulletin boards are great places to spread the word about a new organization. As one can see by these suggestions, a nonprofit organization doesn’t need an army of supporters all across the nation to promote its mission. All it needs is some sweat equity to leverage low-cost ways to get out the word.